Hitting the beach for a fun filled day with friends and family can be a great way to unwind and have fun during those long summer days. But protection from the sun is of utmost importance, especially if you have children in attendance. The sun can be a dangerous thing if proper protective measures aren’t taken into consideration. Sunscreen is a great preventative measure that can be taken to help protect your skin from the suns dangerous rays, but this will not protect you from the heat. Getting out of the sun’s direct sunlight is just as important as the protection of your skin. Being in the direct sunlight can have serious effects on the body such as dehydration and dizziness. This is where a pop up beach tent can come in handy. Having a beach tent allows you the opportunity to both get protection from the sun’s ray and protect from the sunlight directly. This is something that you should always have with you if you plan on spending long duration’s of time out on the beach. 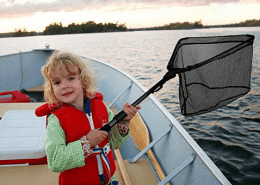 So now you might be wondering, what beach tent should I get or what is the best beach tent for the family? Well you’re in luck! We’ve put together a list of some of the top beach tents currently on the market. Here is our list of the best beach tents for the money in 2019. The Easy Setup Beach Tent by Pacific Breeze Products lives up to its name as it sets up in seconds and in just three easy steps. 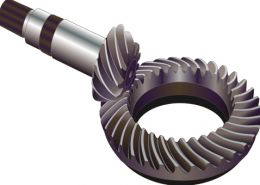 When you’re done, it dismantles just as easily, all because of Pacific Breeze’s special, industry-leading hub system. The tent measures 87 x 47 x 49 inches but folds down to a compact 40 x 5 x 5 inches. It weighs a light 4.5 pounds and is made of a durable yet breathable polyester that’s also water repellent. The frames are made of tough but lightweight fiberglass. Take note, though, that the front of this tent is completely open and it doesn’t have a privacy flap so it’s really best for the beach or maybe even the park or soccer field. Apart from providing a spacious interiors for up to 2 people and enough pockets to store your personal essentials, the tent offers protection from the sun at UPF 50+. It also has large windows to provide ample ventilation. Apart from the tent itself, the Pacific Breeze Products Easy Setup Beach Tent comes with stakes, sand pockets, and a carrying case. The Deluxe XL Tent is pretty much the same as the original Pacific Breeze Easy Setup Beach Tent except that it provides so much more space. It measures 95 x 52 x 51 inches — enough to comfortably fit up to 4 people. Apart from its size, the best thing about this tent is that it’s so easy to set up and dismantle. Thanks to Pacific Breeze’s specially designed hub system, it takes only a few seconds to put up and take down. Inside, there are hooks and pockets to store personal items. The Pacific Breeze Deluxe XL Tent folds down to a compact 38 x 6 x 6 inches. Weighing just over 6 pounds and stored in the included carrying case, it’s easy enough to transport. 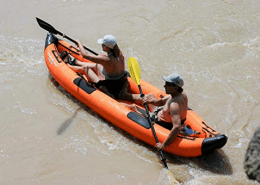 The frame is made of lightweight fiberglass while the flooring is made of water-resistant polyethylene. The tent itself is water-repellent as well, but as an added precaution you can always spray it with waterproofing spray for an added layer of protection. 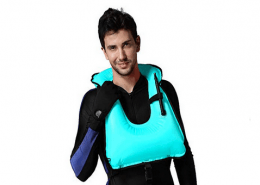 It’s made of breathable polyester that provides UPF 50+ sun protection. For ample ventilation, the tent features 3 large windows. Note that this doesn’t have a privacy flap and so the front is completely open. 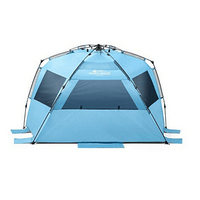 It’s really meant to provide shelter during outdoor activities like hanging out at the beach or watching a soccer match. Apart from the tent and carrying case, it comes with sand pockets and stakes. The Instant Shader Extended Beach Tent boasts Easthills Outdoors’ Easy Setup Mechanism which allows you to setup or dismantle the tent within a minute. All there is to it is removing it from the carrying case, spreading it out, and pulling the drawstrings. The Instant Shader Extended Beach Tent measures 85 x 47 x 46 inches, which comfortably shelters 2 adults on beach chairs. It also has a front porch worth about 43 inches of space so another pair of adults, children, or even pets can sit comfortably nearby. This front porch folds up to double as a privacy flap. The frame of this beach tent is made of 8.5mm fiberglass while the floor is made of 120g polyethylene. 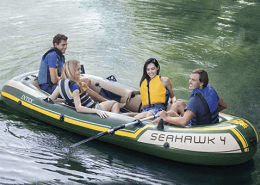 The canopy is made of polyester that offers sun protection of UPF 50+. It features 3 fold-up windows so you can enjoy efficient ventilation as well as privacy whenever you need it. Inside, there are also mesh pockets to store your personal essentials. 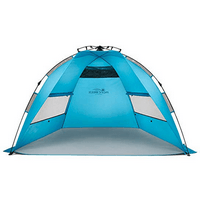 The Easthills Outdoors Instant Shader Extended Beach Tent comes in blue and beige. When packed, it measures 39 x 8.5 inches and weighs 5 pounds. Apart from the tent itself, it comes with a carrying case with a shoulder strap, 10 plastic stakes, and 4 guylines. Measuring 94.5 x 51.2 x 51.2 inches when set up, the Premium Extra Large Pop Up Beach Tent provides enough space for 2 adults to sit on its flooring or on beach chairs. Apart from providing ample space, it boasts easy setup and take down, requiring a single person only a minute to accomplish. The frame of the Arcshell Premium Extra Large Pop Up Beach Tent is made of 8.5mm fiberglass. The canopy is made of 190T polyester and the floor is made of 210D oxford fabric. Internally, both are coated with 3000mm polyurethane which makes it waterproof and allows it to offer UPF 50+ sun protection. The extended canopy at the front provides additional shade. For ventilation, this tent has large mesh windows on all three sides. These have flaps to cover the windows should you need to block out the sun even more or if you need any privacy. The extended ground cloth at the front also zips up for even more privacy. 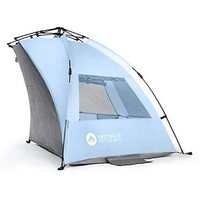 This Arcshell beach tent comes with a carry bag and 6 heavy-duty stakes that are 12 inches long. 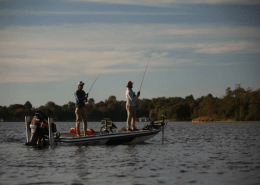 When folded down, it measures only 30.7 x 5.4 x 5.4 inches and weighs 6.55 pounds. 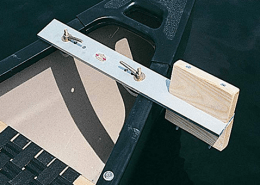 It can easily fit into your trunk, a tackle fishing backpack or even a small checked suitcase if you’re traveling far for your beach trip. 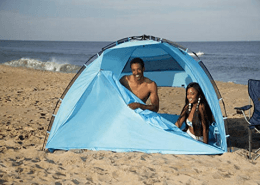 The Zomake Pop Up Beach Tent measures 95 x 71 x 39 inches. While that’s large enough to fit 2 adults lying down, there’s ample space to accommodate up to 4 people who are just hanging out. 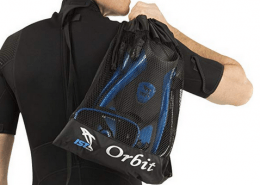 When stored, it is folded down as a disc and kept in the included carrying bag with shoulder straps. Folded, it measures around 32 inches in diameter. 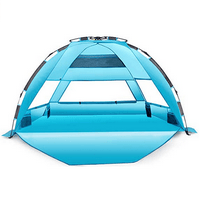 To open, the Zomake Pop Up Beach Tent literally pops up in seconds. All you need to do is remove it from the bag and throw the entire package up in the air. It will open itself up all on its own. It makes amazing sun shade for the beach. The tent is made of 190T polyester fabric that’s coated with silver polyurethane for adequate heat and sun protection at UPF 50+. 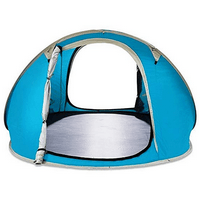 The last thing you’ll need to worry about is baking inside this tent because it provides excellent ventilation from its 2 doors, 2 windows, and large skylight window. All these openings are covered with mesh to keep bugs out or with the opaque flaps for complete privacy.